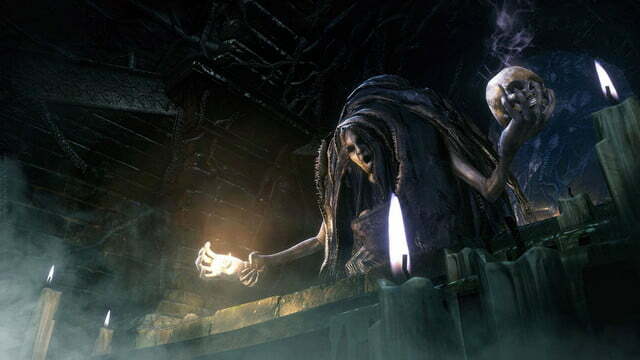 Demon’s Souls’ eventual success was a slow burn, but it was not a fluke. 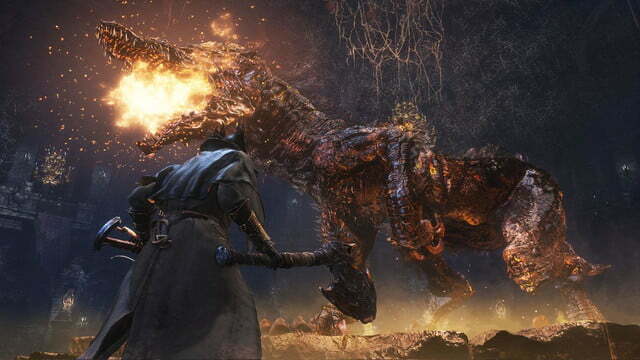 The Souls series is a full-blown phenomenon now, and the mania has peaked with Bloodborne. 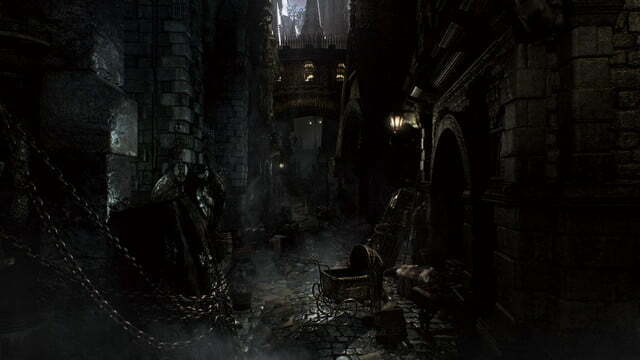 Thanks to the intriguing new Victorian setting and some really effective marketing on Sony’s part, tons of new players are experiencing Bloodborne as their entry point to From Software’s wonderfully challenging games. But that may not be ideal. 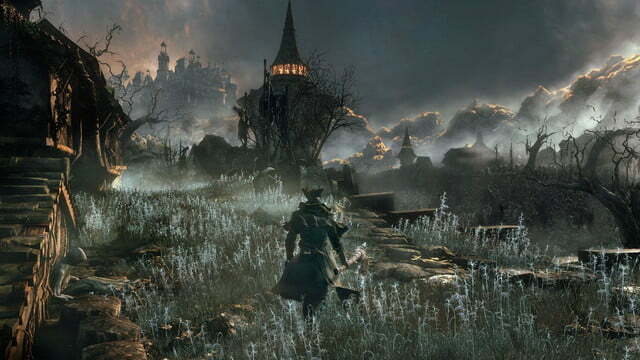 Bloodborne is a significant evolution of the Dark Souls formula. 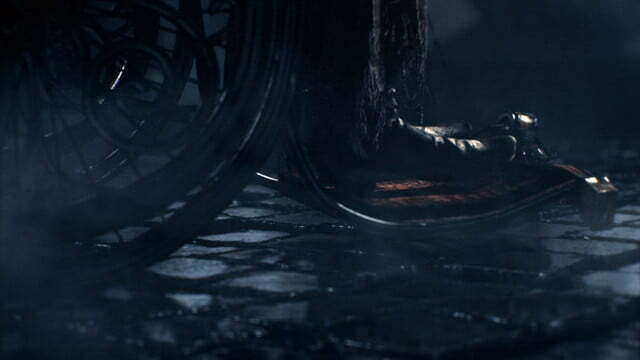 The many changes From has made to its core gameplay — the very tenets of combat and customization that have driven the games from the beginning — feel like a direct response to the crutches that players came to rely on in past titles. Combat is now much faster than before, and shields are practically non-existent. Fighting is now totally reactive. 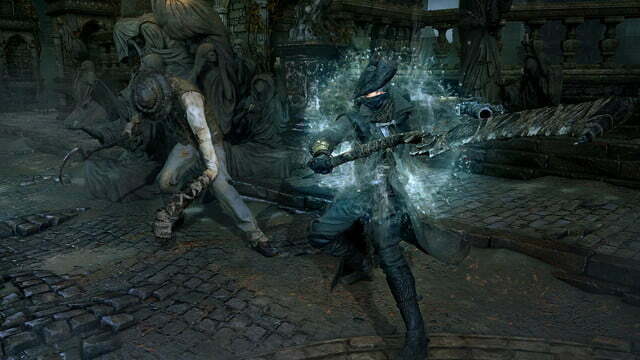 Dodging around like mad as you predict what your foes will do next is paramount. Parrying enemies’ moves and executing powerful “visceral” attacks — using firearms like pistols and blunderbusses — is now the most important maneuver available. 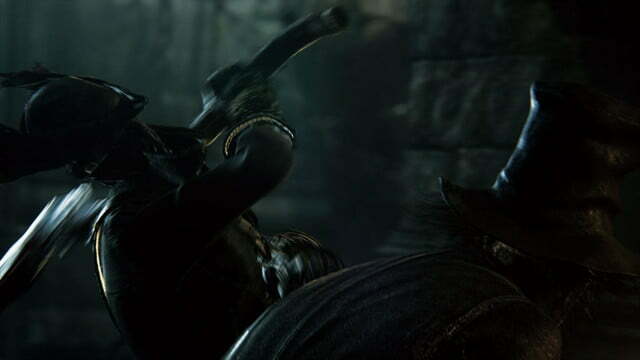 Gone are the days of hiding behind giant shields and draping yourself in thick heavy armor. Skilled Souls players have been doing it this way for years, but Bloodborne forces everyone to break that pattern. 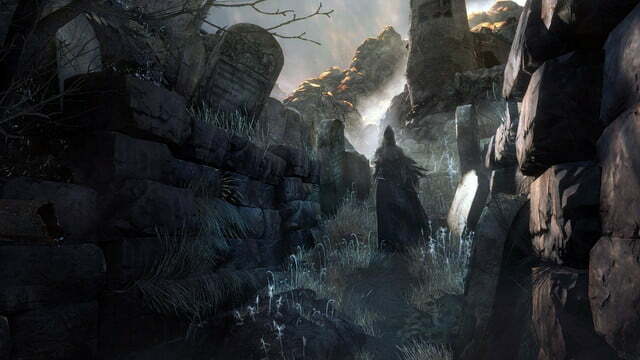 The masses of new players the game has attracted may have an easier time picking it up than Souls veterans, who will have to unlearn the methods they developed in order to survive past games. 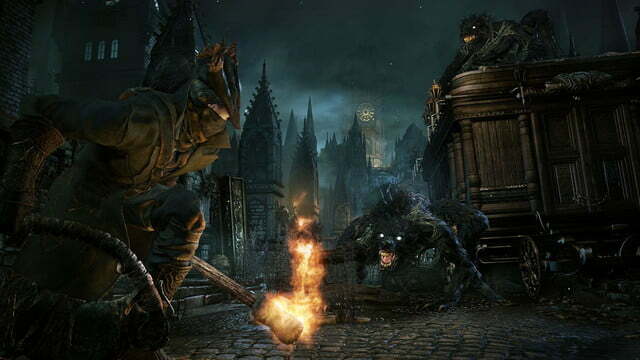 Rather than opening up into a wider variety of viable strategies, however, players seem to be forced toward one style. Is that really an improvement? 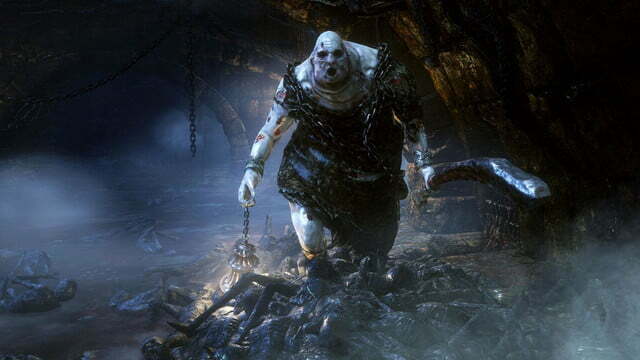 On the positive side, From Software has eliminated most of the “cheese” (degenerate strategies) that plagued its previous titles. 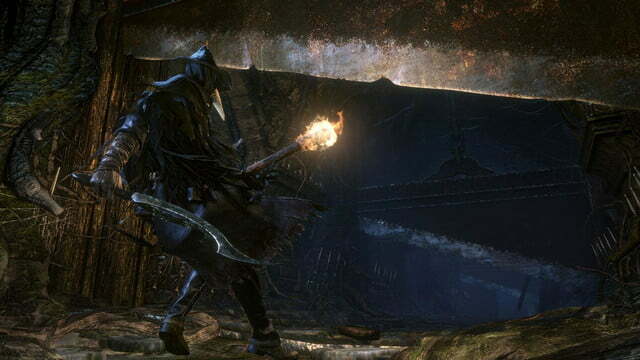 Bloodborne doesn’t let you snipe enemies’ tails or whittle their health away with poison arrows (poison daggers exist, but they’re rare and relatively ineffective). 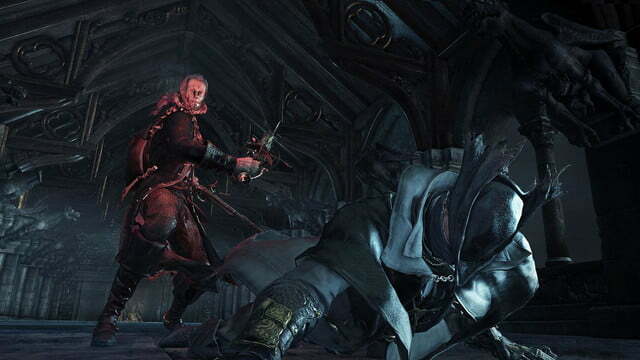 Enemies are often more dogged in their pursuit, so taking potshots and running away until they lose interest is less effective too. 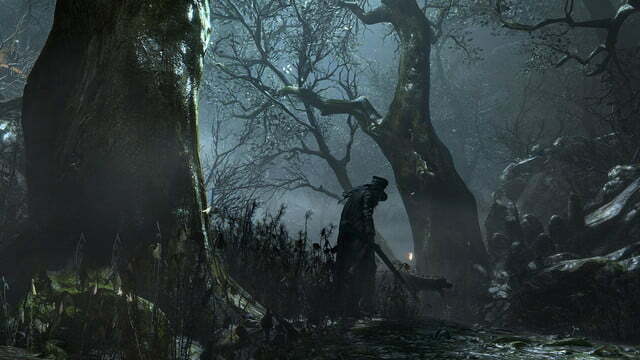 The result is as From likely intended: the only way to progress in Bloodborne is to get good. 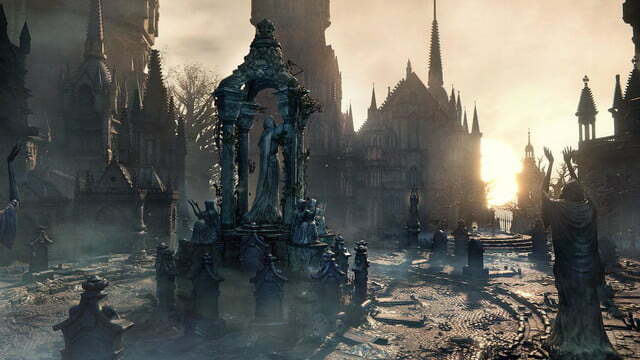 Bloodborne‘s world is absolutely gorgeous, to the extent that alien horrors and other unspeakable monstrosities can be considered beautiful. 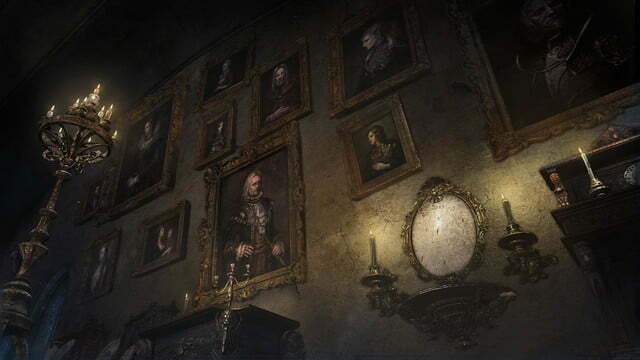 This game is a love letter to the work of H.P. 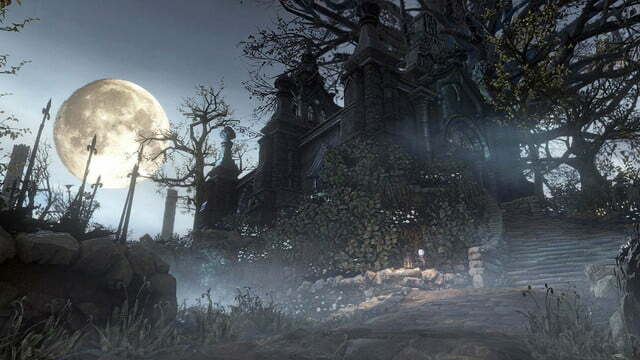 Lovecraft, from the Cthulhu-like enemies and focus on madness to its prevalent themes of horrors “cosmic,” “primeval” and “eldritch” — some of Lovecraft’s favorite words, all used extensively in Bloodborne. 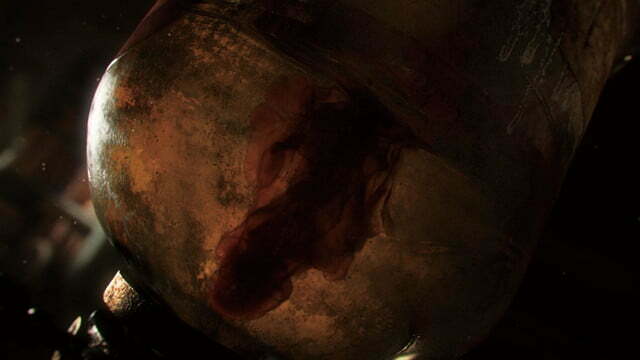 You will want to go pick up At the Mountains of Madness as soon as you’ve put your controller down. 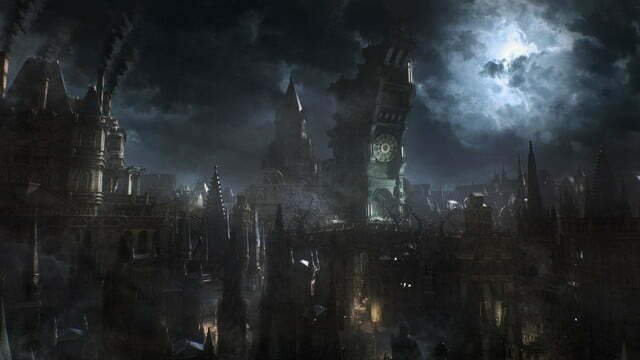 Bloodborne‘s world is absolutely gorgeous, to the extent that alien horrors and other unspeakable monstrosities can be considered beautiful. From Software’s games have always been wonderfully weird, but abandoning the traditional fantasy genre for an esoteric mythology, even stranger and darker, has freed the developers up to craft a universe full of totally unique places, weapons and enemies. 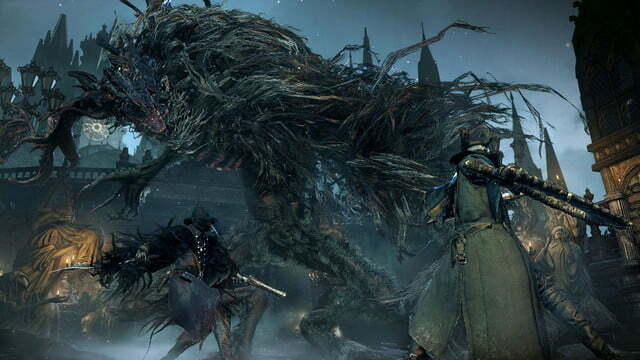 Enormous tentacle-faced tree monsters cling to towers and bridges, while townsfolk driven mad by unknown forces wield pitchforks and gatling guns against you. 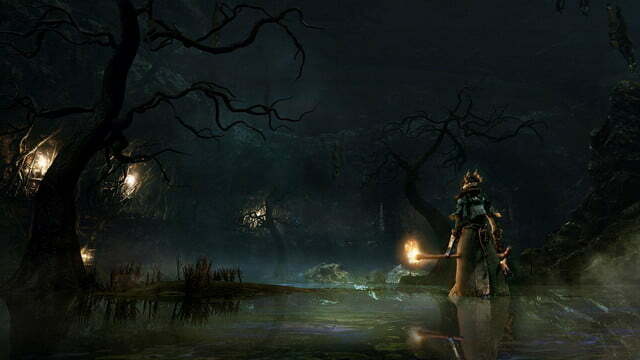 Environments range from abandoned, ghost-ridden castles to the obligatory toxic swamps full of half-submerged terrors. 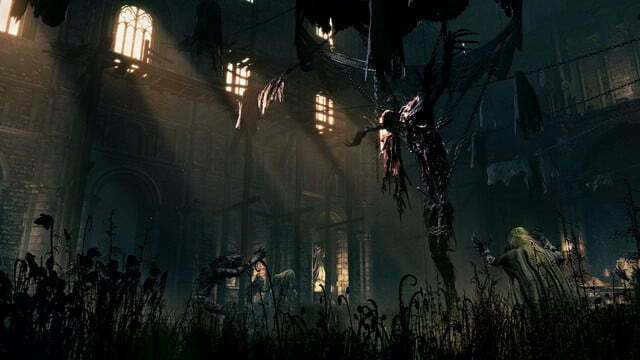 You’ll enter living nightmares and combat creatures so horrifying that simply being near them pushes your character to the brink of insanity. 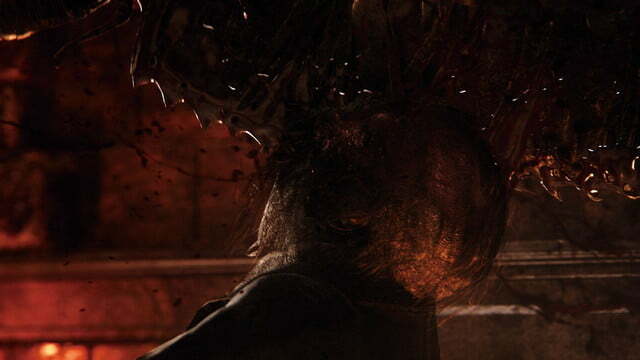 How Lovecraft is that? 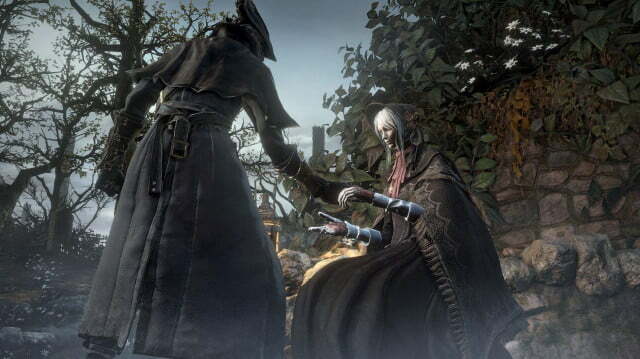 Like the Souls games, Bloodborne begins with something that, in another developer’s hands, might have been a coherent narrative. 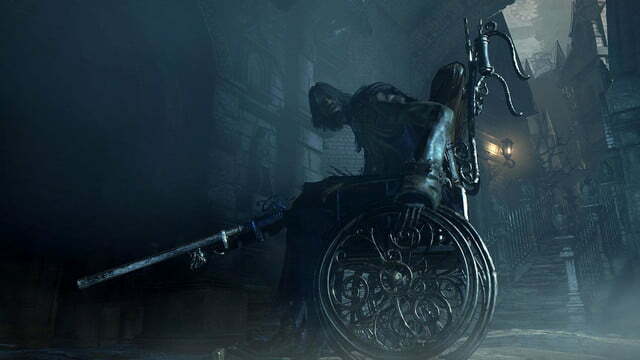 You’ve come to Yharnam seeking something called “paleblood,” and after receiving a sketchy blood transfusion, you find yourself trapped there on the night of the Hunt (with a capital “H”). 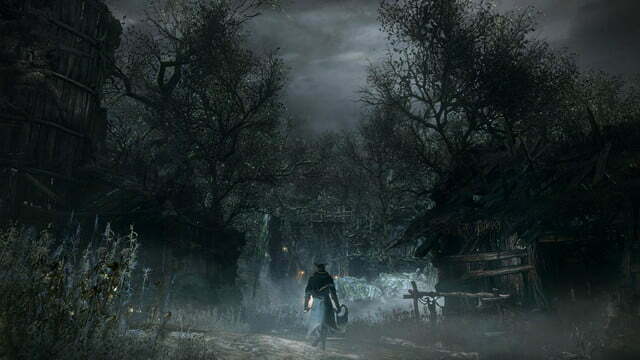 As a newly minted Hunter, you venture into the city to slaughter beasts and harvest their blood, getting ever-closer to the mysterious and sinister Healing Church and the answers it might provide. 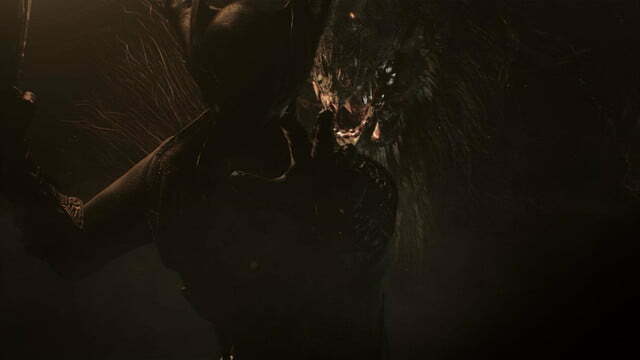 Then, naturally, you get transported to an alternate dimension and fight a fat spider beast, finding on your return that the sky has turned purple, the city is overrun by aliens, and the moon itself may or may not be pregnant. 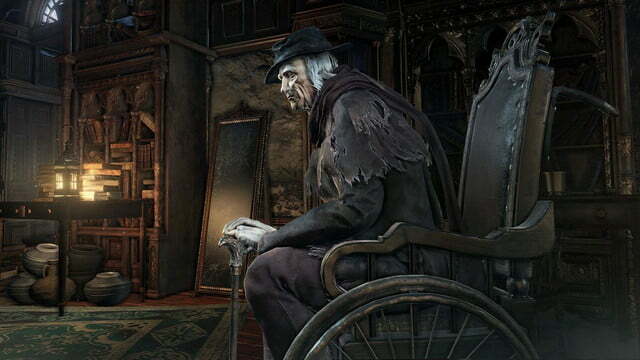 Ask a player who’s just finished Bloodborne what the story was and they’ll probably shrug. Ask them a few days later and they might have some ideas. 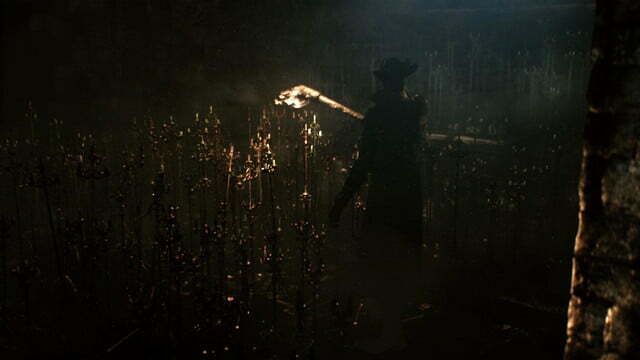 For many, this is part of the appeal; players gather together in forums like Reddit to discuss theories and “what it all means.” But Bloodborne‘s plot started out in a very cool place, and for once it would have been nice to have a more coherent narrative thread tying the experience together. 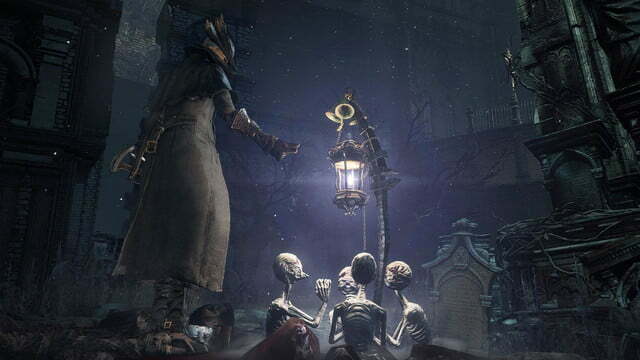 You can complete everything else in Bloodborne without ever setting foot in a Chalice Dungeon, but that would be a mistake. 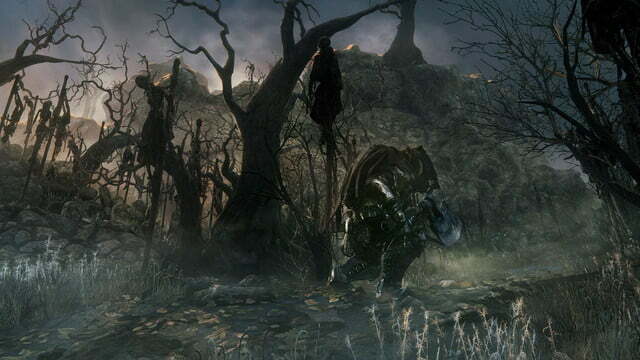 These levels, totally separate from the rest of the game, embody a concept that’s new to the Souls series: randomness. 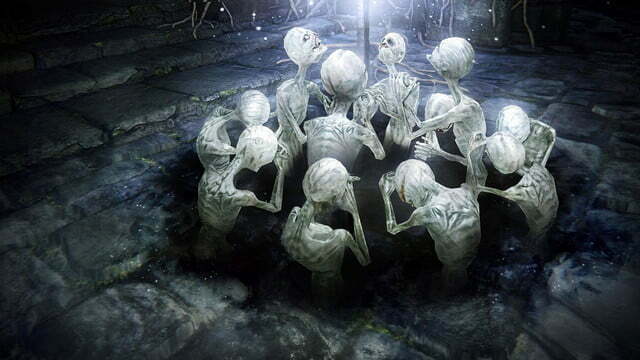 You have to play through some non-random, designed Chalice Dungeons before the game starts generating randomized ones for you, but once you get to that point you’ll find yourself with an unending source of new content to explore, solo or with friends. 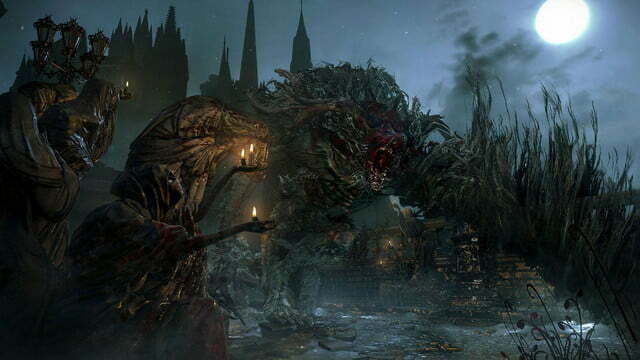 And eventually the Chalice Dungeons present you with the most challenging fights that this series has yet offered — and some great rewards, too. 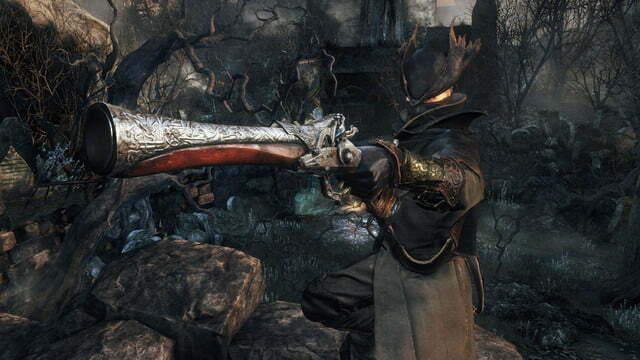 Like the environments and creatures, Bloodborne‘s weapons are unrecognizable from past games. 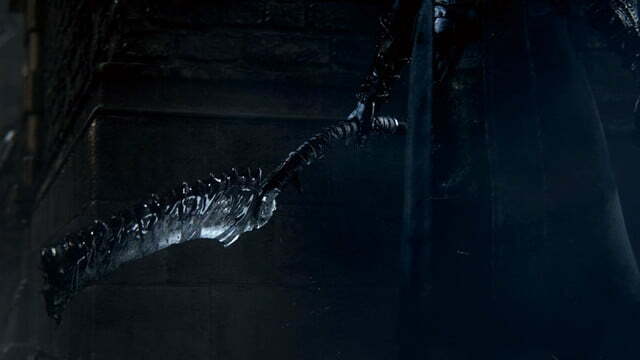 You’ll wield a sword that transforms into a hammer, or one that turns into a much bigger sword, or a cane that doubles as a whip. 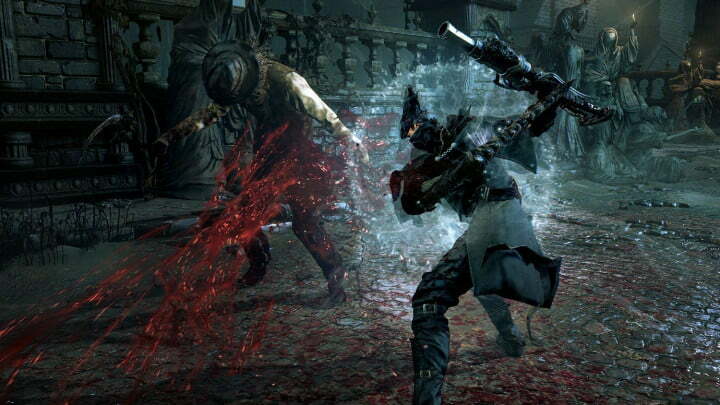 Transforming these weapons in the middle of combat results in powerful special moves, and they’re augmented by a wide variety of firearms that includes pistols, shotguns, rifles, and even flamethrowers. 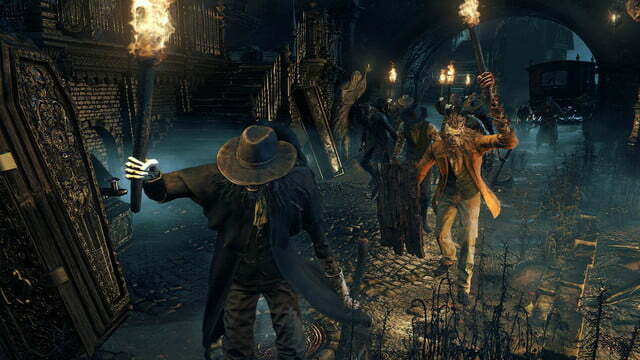 Despite all this, overall there are far fewer options in Bloodborne than series regulars have come to expect. 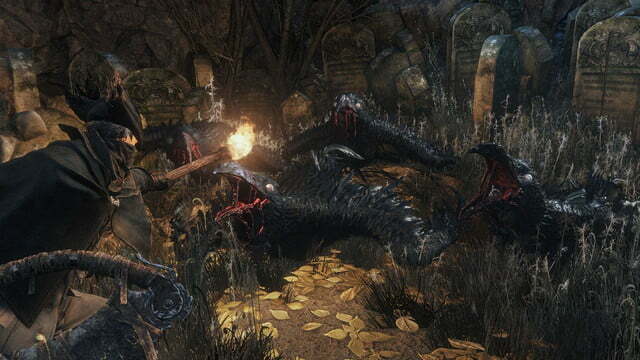 The game contains just a fraction of the different types of weapons that were available in Dark Souls 2, and that’s the least of it. 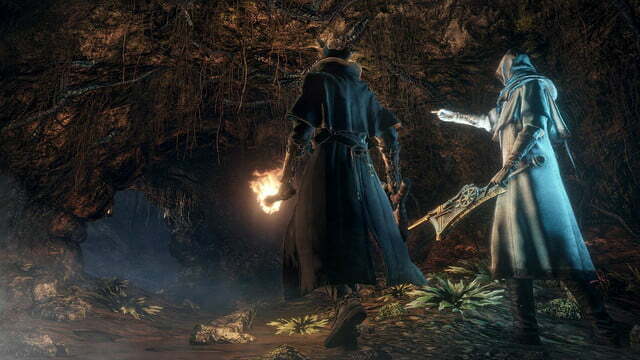 There’s essentially only one armor class now, made up of hats, gloves, trousers, and shirts that are all almost identical in stats. You can’t upgrade this gear at all, and each weapon now only has one upgrade path using a single type of material. That means no more lightning swords, holy maces and poison whips; besides new gems that you can freely swap in and out of weapons for small stat changes, your gun-spear and cleaver-saw are the same as mine, his, hers and everyone else’s. 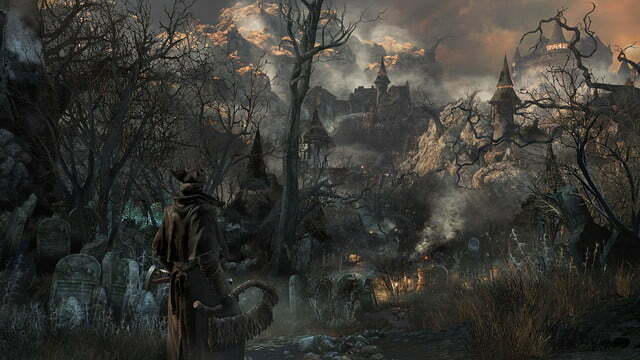 The list of features from past games that From has trimmed away in Bloodborne goes on seemingly without end. 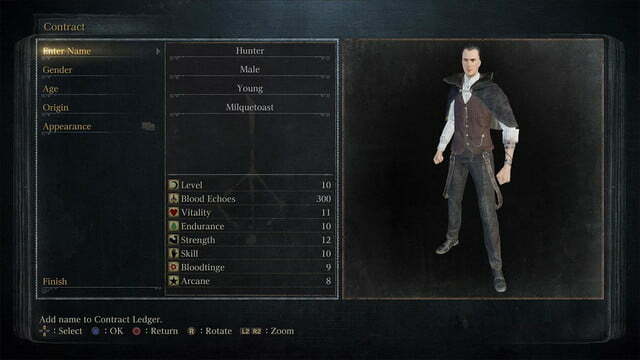 There are no spells or miracles or pyromancies; just a few items that let you tap into rather weak extra powers in exchange for ammo that you’d probably rather use for your guns. 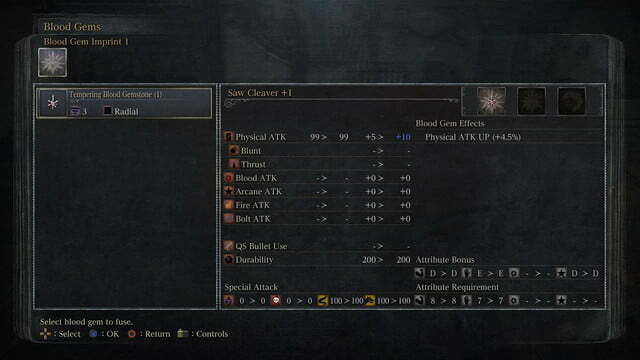 You can’t equip rings anymore, just “runes” that alter your stats and abilities in much less significant ways. 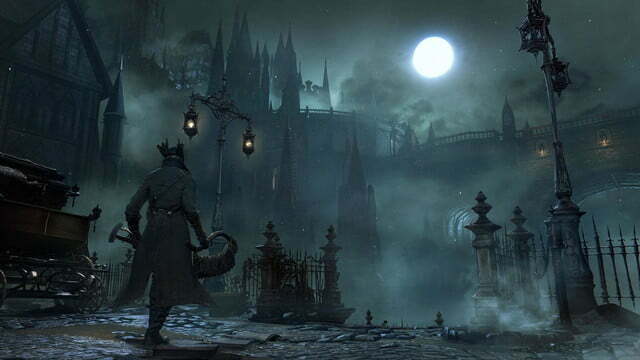 The overall focus in Bloodborne is obviously on quality over quantity, which any From Software fan can appreciate, but it’s hard not to feel like something’s been lost in the process. 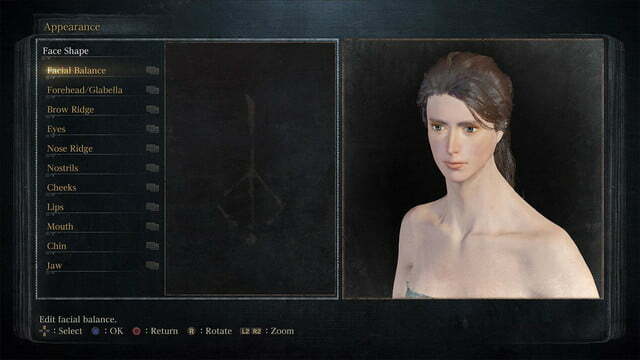 The main motivation for replaying the Souls games was to try out different types of characters, something that should be doubly true in Bloodborne, where you can’t re-allocate your character’s stats after leveling up like you could in Dark Souls 2. 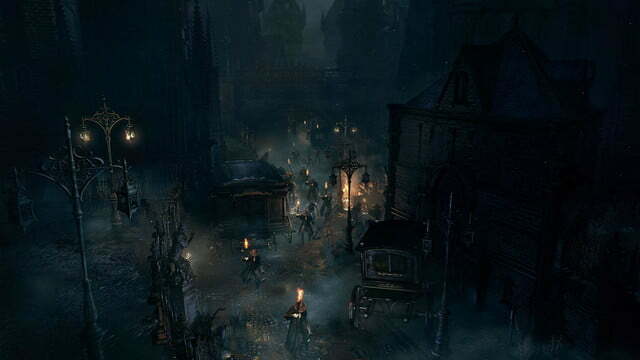 But with such sparse variety of viable tactics, there’s little reason to start a new character. 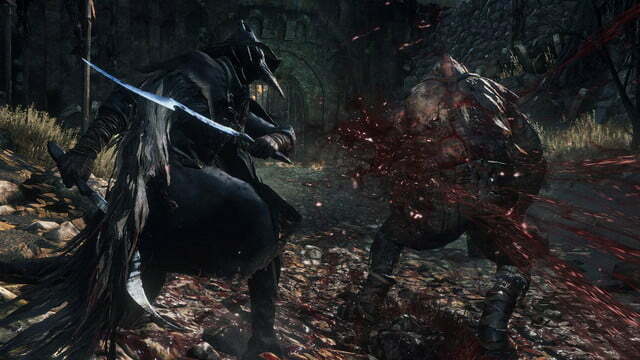 That homogenous fighting style also makes player-versus-player battles kind of boring now. Granted, that’s always been somewhat true, with Souls PVP players usually glomming onto just a few superior weapons and spells. 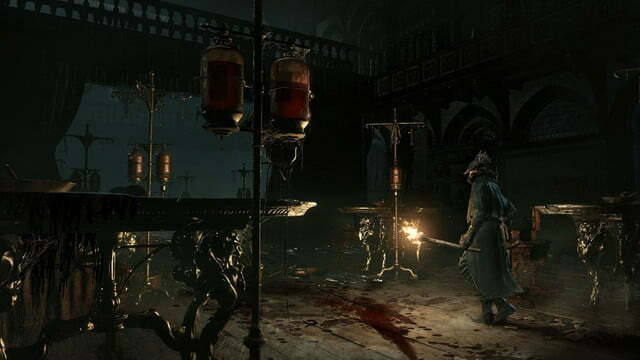 Players’ habits here will evolve over time as the community experiments, but in general Bloodborne presents a disappointingly narrow range of play styles. 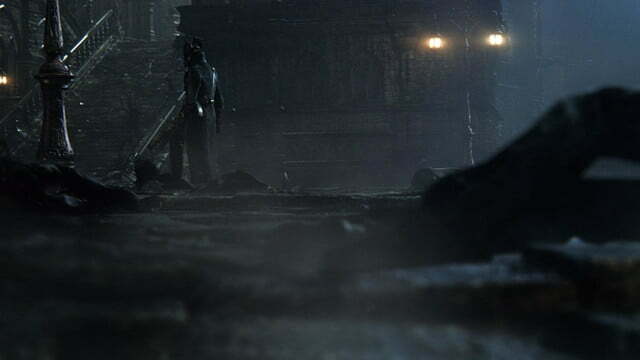 At least there’s no more backstabbing, a change long due in this series. 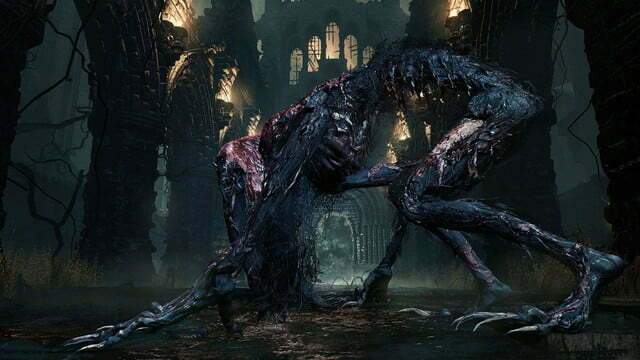 On the other hand, Bloodborne has some of the most imaginative enemies and locales of any game ever, and it all looks stunning. 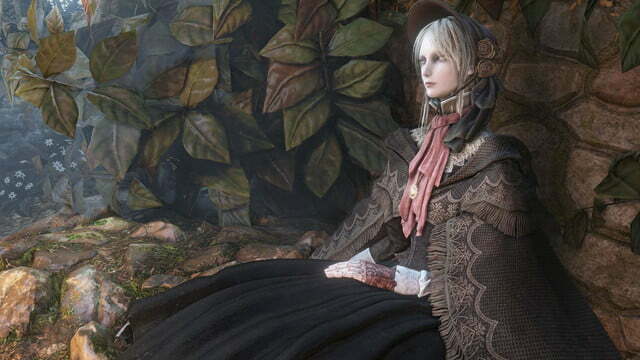 Artistically, this game is flawless, marred only by the same technical issues that seem to plague all of From’s games. 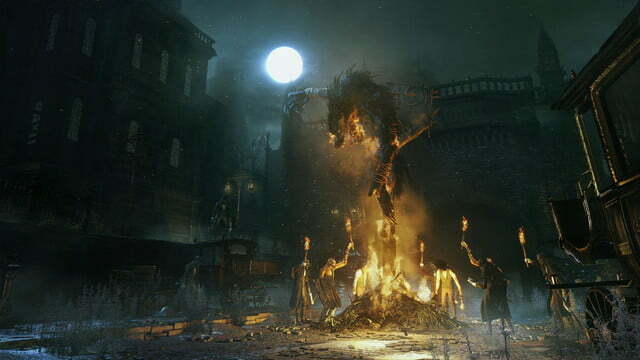 Bloodborne‘s graphics and effects, like particles floating through the air and fire on the end of your torch, look incredible, but when the number of enemies onscreen starts to climb – to really impressive levels, it’s worth noting – the game can stutter noticeably. 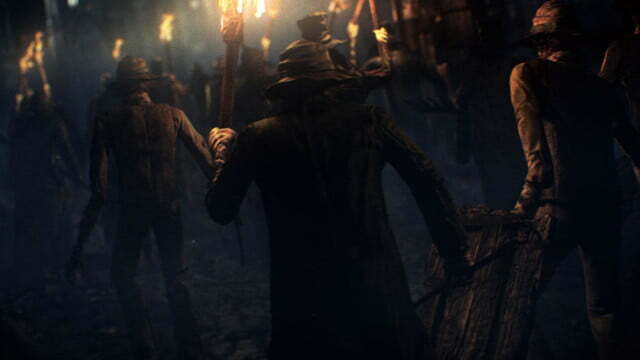 The frame rate issue is exacerbated significantly in multiplayer, and it’s disappointing to see From failing to correct problems they have already seen. 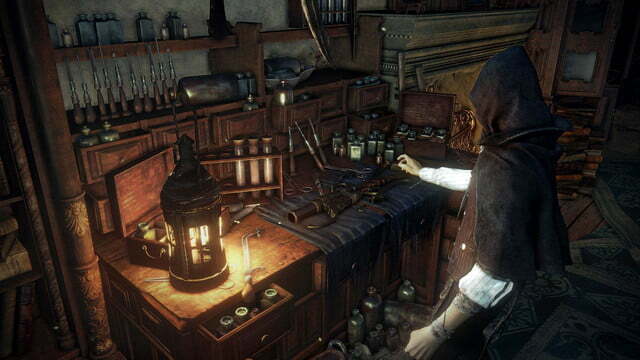 Others of the game’s issues are more design-based, and even less forgivable. 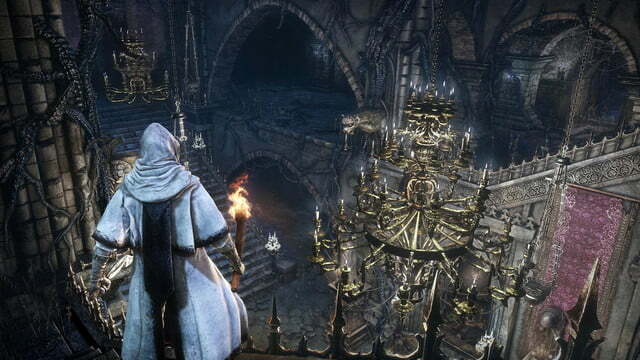 Bloodborne‘s level design combines the best of Demon’s Souls and Dark Souls, with an intricate, honey-combed environment that also links back to an overarching, separate hub world from which you can jump around to dozens of different lanterns (the game’s version of bonfires). 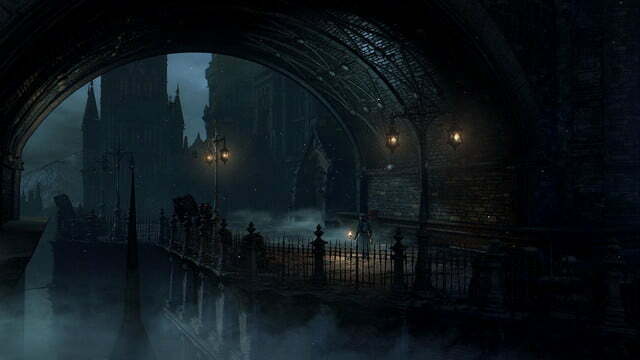 But the side effect of this structure is that you can’t jump from lantern to lantern; you have to go back to the hub world first, then from there to the area you want to reach. 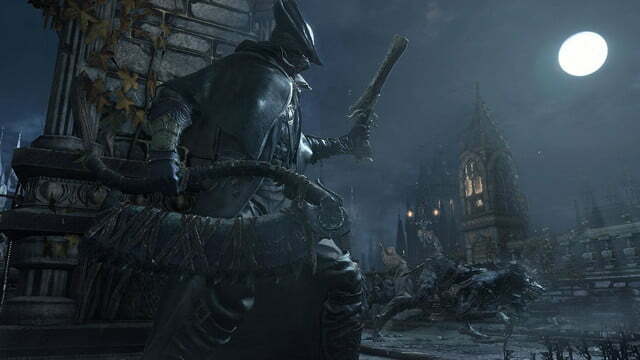 Given Bloodborne‘s absurdly long loading times —something From is reportedly working on improving — this is a frustrating limitation. The new healing system is also problematic. 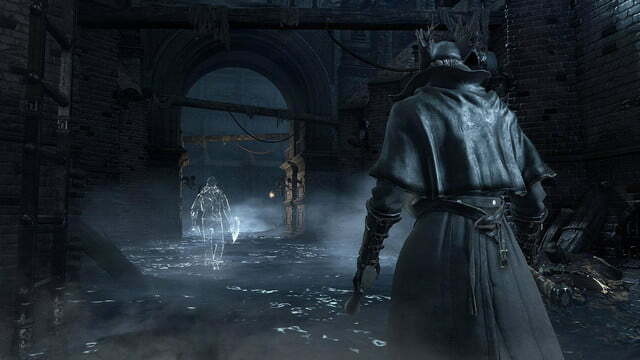 Blood vials, unlike past games’ Estus, are mapped to a dedicated button, which is a positive change even if it takes getting used to. 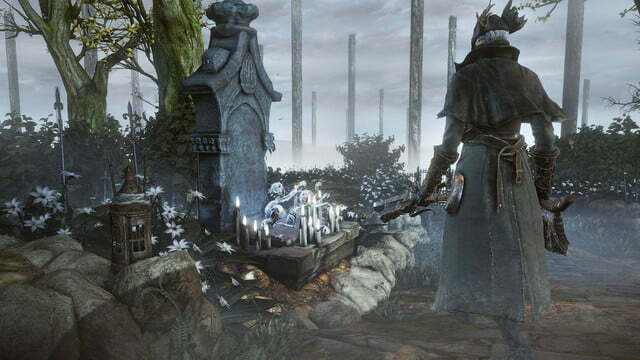 Like Demon’s Souls’ healing “greens,” blood vials are limited and do not replenish automatically. Yet you’re also limited in how many you can carry at once, and how many extras you can have in storage back in the hub area. 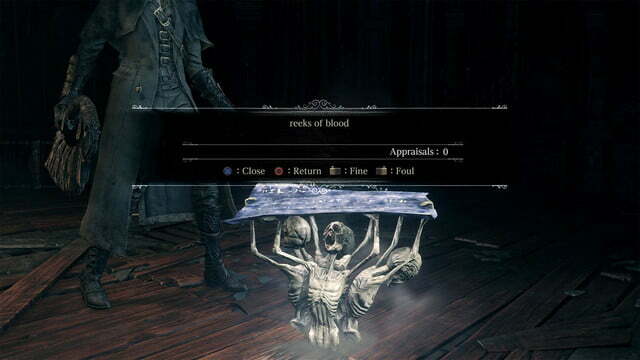 Vials are a common drop from enemies, so this doesn’t impede your progress most of the time; you’ll use a few, then find a few more, and everything is fine. 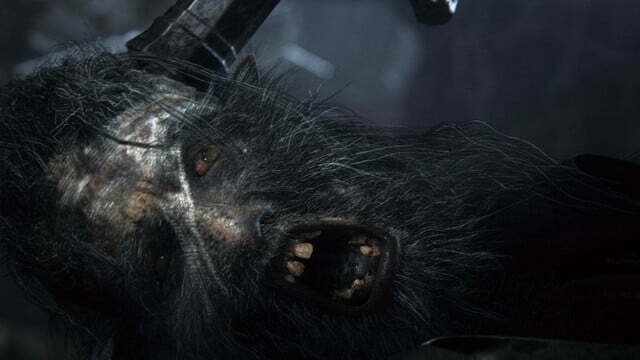 But woe to those who get stuck on a boss fight or other tough encounter, who will quickly find themselves completely out of healing items (and bullets as well, sometimes). 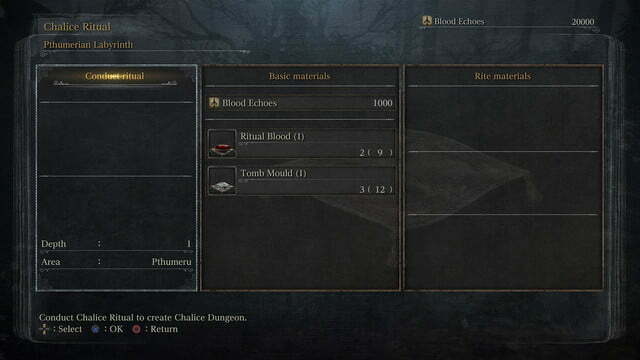 If you’re dry on blood vials, you may have to go back to a previous area to farm some. 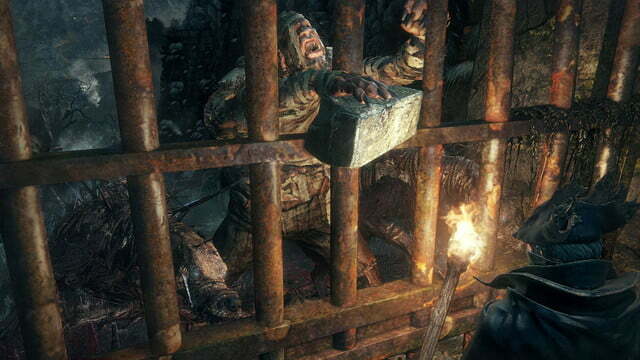 This is both a punishment for failing and further training for the encounter you’re stuck on. 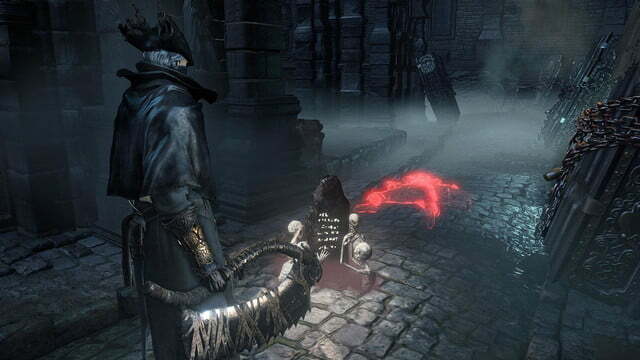 The intention is likely to stop players from throwing themselves at bosses until they simply get lucky, a painful rhythm Souls vets are all too familiar with. 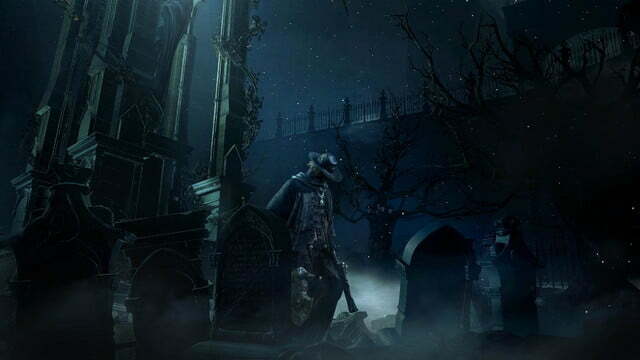 It sounds fine on paper, but the reality is that death in Bloodborne is punishing enough without the game putting yet another roadblock between you and progress. 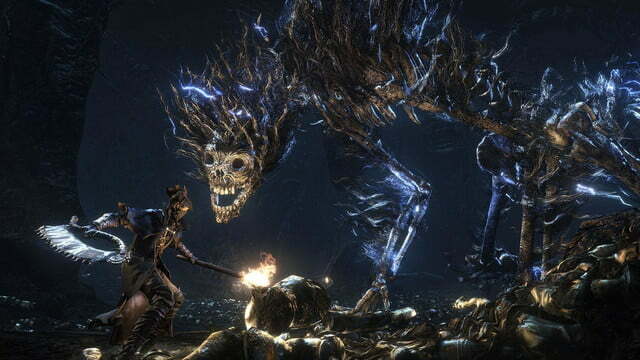 Like with the combat and players’ past reliance on shields and heavy armor, From Software wants to throw a wrench in your habits and get you to try something else for a while. But in doing so they’ve made a frustrating experience — losing repeatedly — even worse. And no matter how good you think you are, this will happen to you. 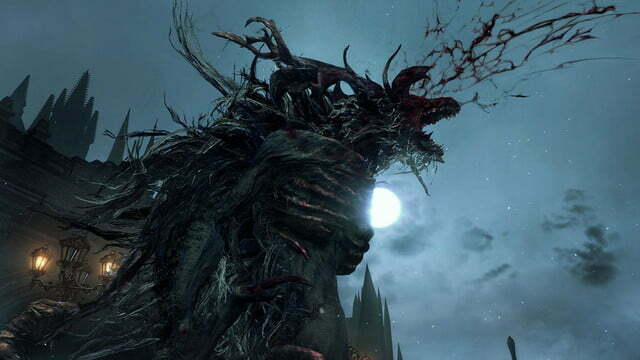 Even if you dashed and dodged your way through Dark Souls 2 on autopilot, there are fights in Bloodborne that will leave you flummoxed. You have to hand it to From for always outdoing themselves. 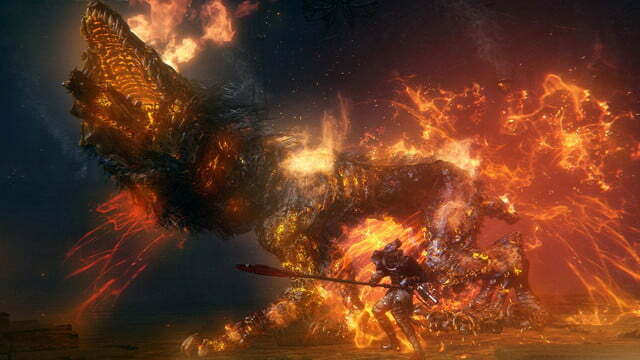 Most bosses now have multiple phases, and battles are more fluid than ever. 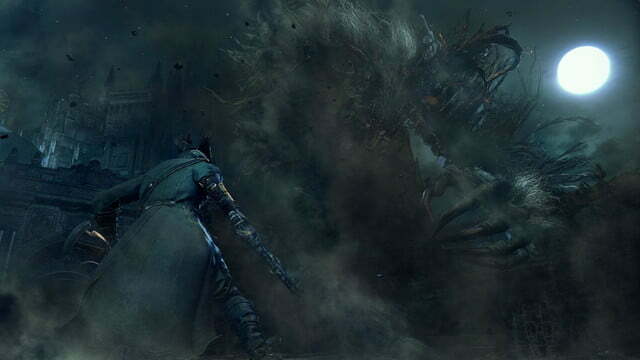 One early boss starts poisoning you with attacks halfway through the fight, and by the end you’re getting poisoned any time you go near it. 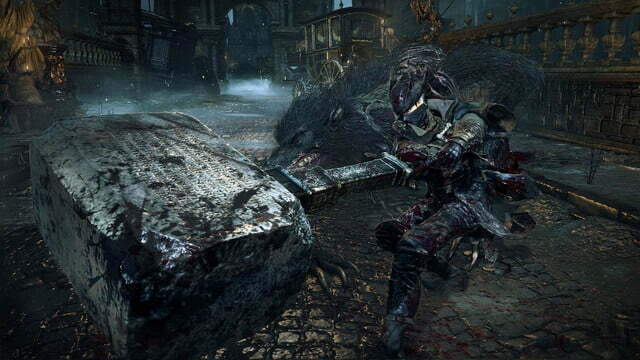 Other fights pit you against multiple fast, agile enemies and plague you with constant damage, demanding a huge amount of skill to overcome. 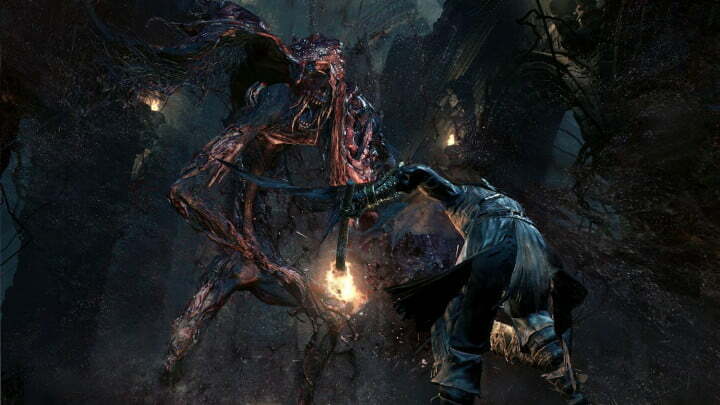 And fights against other human characters in the game, who somehow move with inhuman speed, heal themselves constantly, snipe you with shotguns from across the room, and harass you endlessly with infinite bullets, go so far past “challenging” and well into “frustrating” that some players might consider them “cheap,” a word that — despite these games’ infamous difficulty — is rarely applied to the series. The games are tough, but they’re usually fair. 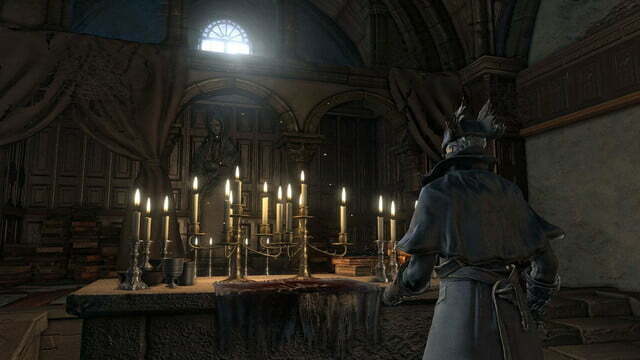 In Bloodborne, that isn’t always the case. 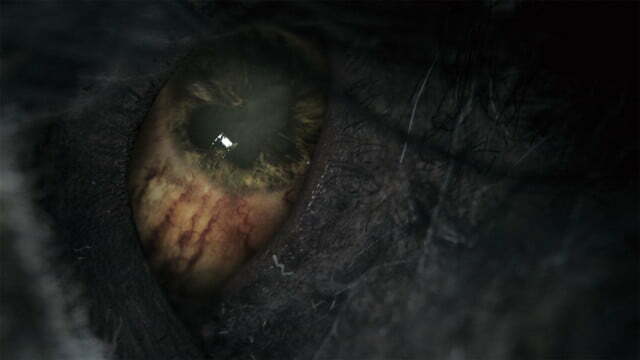 From has made some positive changes to multiplayer, though they’ve also repeated past mistakes there as well. It’s easier than ever to connect with friends — in theory, at least. 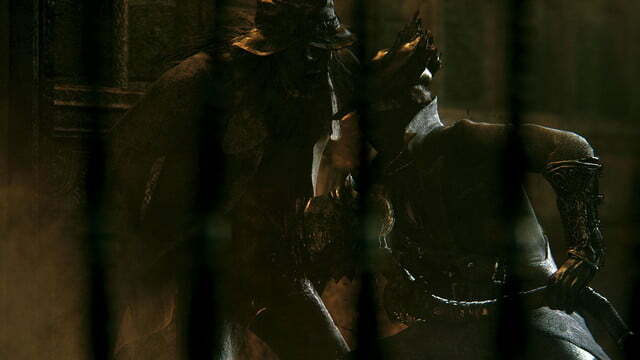 You can set a password, and friends who enter the same characters should be able to connect with you directly when you both ring your respective bells. 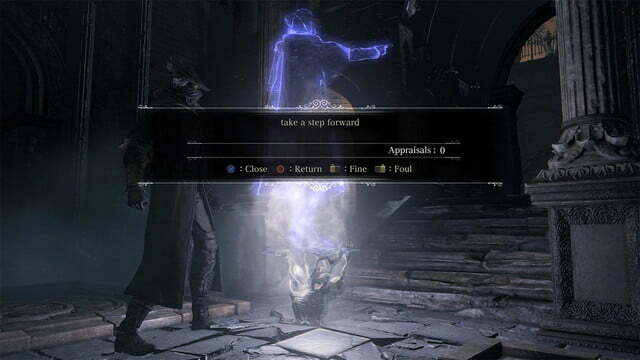 But for unknown reasons this works inconsistently, and whether or not you actually succeed in summoning someone you’ll lose a valuable “insight” point, which can also be used as currency for buying materials and armor. 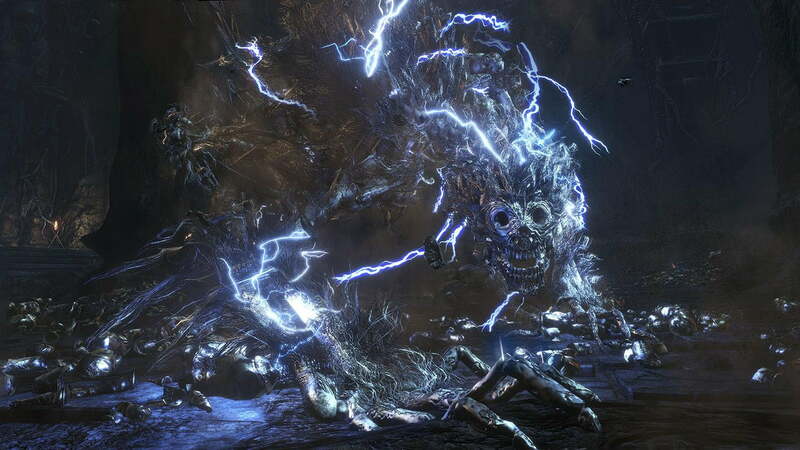 Add to that a slew of bugs that make certain bosses unreachable or impede your progress in the game in other ways and you have an experience that can be frustrating in all the wrong ways. These are all things that can and hopefully will be fixed with future patches, but this is the current experience, and it bears mentioning. Some of Bloodborne‘s issues are nitpicks born from a passionate love of the Souls series, while others are more significant steps backward from From Software’s previous games. 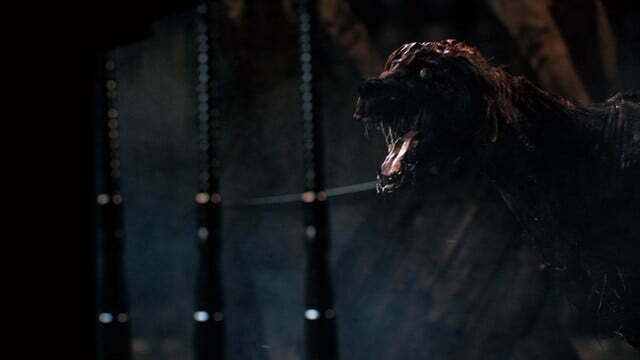 The good news is that both types are easy to overlook when you’re embroiled in the Hunt, your hands sweaty and blood pulsing in your ears until that and the wails of your inhuman foes are all you can hear. 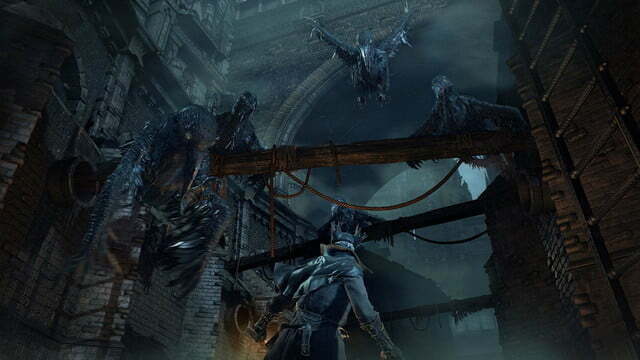 Bloodborne is not perfect, but like its predecessors — and unlike most other video games — it very directly rewards players’ dedication and attention to detail. 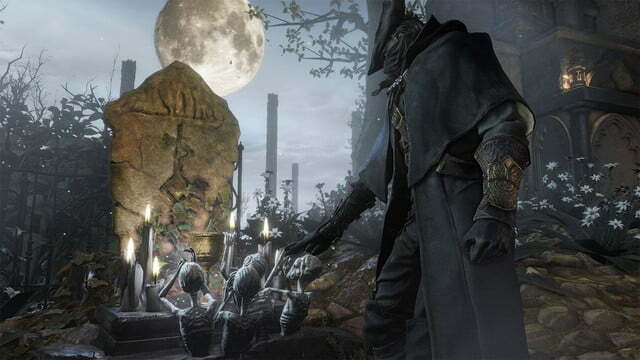 This is a gamer’s game: you get out exactly as much as you put in, and those willing to give themselves to Bloodborne will grow joyously, painfully obsessed. That much, at least, hasn’t changed. 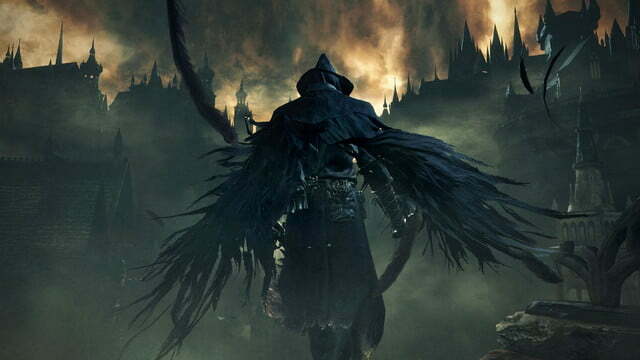 This game was reviewed on PS4 using a copy provided by the publisher.